MAP is the ultimate management skills benchmark to guide training deployment on 12 crucial competencies. Superior assessment combines style, values and competency scores with comprehensive development planning and competency training resources. Complete! training modules to provide training on your managers most critical needs. 3. Facilitator’s provide training on the most critical needs using the Excel2 training modules. Enjoy unlimited use to all MAP2/Excel2 products for your entire organization for one low price! In addition, every unlimited use license includes a complete suite of training resources designed to help your managers master the MAP competencies. Everything You Need – One Low Price! MAP2/Excel 2 – the best keeps getting better! A complete management assessment and training solution that allows you to focus on your managers most critical development needs. Now with new video, new facilitator material & participant guides, new job aids and new power points. Check out our new unlimited use pricing – one low price for your entire organization! MAP2 provides an objective assessment on managerial competencies, using engaging video that simulates real life work place situations. 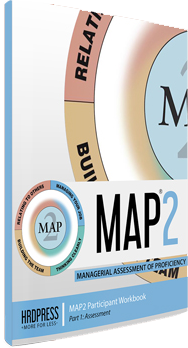 MAP2 assesses 12 basic managerial skills and Excel2 provides customizable training modules for each competency. MAP2/Excel2 Benefits Your Organization from the Top Down! The MAP2/Excel2 management development system is specifically designed to benefit your entire organization, from the top down. Managers use more thoughtful communication reducing misdirection and unnecessary conflict. Those who struggle to take action or make quality decisions are provided protocols to overcome these challenges. Productivity increases as managers set priorities in alignment with goals and strategy. Leaders delegate to develop, not sidestep unwanted work.